Made In Space is preparing a 3D printer that will be carried on a commercial launch to resupply the ISS in 2014. 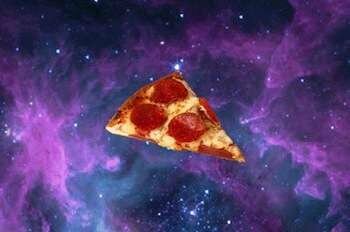 Photo: Made In Space. News about 3D printing in space comes in so often that a general update seems useful. There are a few recent developments, so I’ll quickly summarize the old news before covering the new stuff. *deep breath* With a grant to Tethers Unlimited Inc, NASA is supporting research that’s investigating printing station components in orbit with a program called SpiderFab; NASA’s new heavy-lift rocket called the Space Launch System will use 3D printed parts to reduce weight and allow for more cargo; with support from NASA, engineers at Washington State University successfully printed objects with synthetic regolith (moon dust) to demonstrate the feasibility of printing lunar structures; Deep Space Industries plans to print spaceship parts out of asteroid materials; and DIYROCKETS created a contest to encourage makers to design 3D printable rockets that can make it to low Earth orbit. Whew. And now NASA intends to send a 3D printer to the International Space Station in 2014. Made in Space was awarded a Phase III small business innovation and research contract from NASA’s Marshall Space Flight Center in Huntsville, Alabama for the purpose of preparing a 3D printer that will be carried on a commercial launch to resupply the ISS; the project is called the 3D Printing in Zero G Experiment. MiS has already gone through NASA’s Flight Opportunities Program and tested their 3D printers in parabolic suborbital microgravity flights, where the equipment performed well. And NASA Administrator Charles Bolden shares the sentiment, saying “As NASA ventures further into space, whether redirecting an asteroid or sending humans to Mars, we’ll need transformative technology to reduce cargo weight and volume.” The project will start with producing basic tools and consumables, hopefully moving on to satellites as the technology evolves. It will be the first human effort at manufacturing off of Earth. SMRC will develop a 3D printer that produces food. NASA has also awarded a Phase I Small Business Innovation Research (SBIR) grant to Systems and Materials Research Corporation (SMRC), based in Austin, Texas to develop a 3D printer that produces food. The printer will use basic powdered nutrients to assemble more complex dishes. Anjan Contractor, a senior mechanical engineer at SMRC, has already had success with chocolate; his next work will be on printing a pizza. By using powdered nutrients, astronauts will have meals that are more “fresh” on long-duration missions that last several years. Ideally the project will give insights into creating foods that have shelf lives that can sustain trips to Mars. 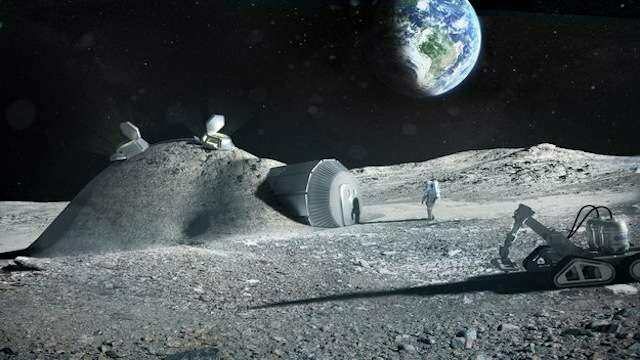 On the other side of the Atlantic, the European Space Agency has partnered with Foster + Partners to do their own 3D printing of lunar bases with moon dust. Using the D-Shape printer from Monolite, the team has already created a 1.5 tonne block of “hollow closed-cell structure” to demonstrate viability. Monolite founder Enrico Dini explained, “First, we needed to mix the simulated lunar material with magnesium oxide. This turns it into ‘paper’ we can print with, then for our structural ‘ink’ we apply a binding salt which converts material to a stone-like solid. Our current printer builds at a rate of around 2 m per hour, while our next-generation design should attain 3.5 m per hour, completing an entire building in a week.” Woah, that’s fast. The European Space Agency plans for a 3D-printed lunar base. Xavier De Kestelier of Foster + Partners is confident that the moon igloos will perform well at shielding against micrometeoroids and space radiation, stating, “As a practice, we are used to designing for extreme climates on Earth and exploiting the environmental benefits of using local, sustainable materials. Our lunar habitation follows a similar logic.” I hope he’s right. A lunar suburb sounds super relaxing.